How do Bed and Breakfast owners feel about Channel 4’s “Four In A Bed” show? Is it so relatable that it’s essential viewing? Or is it so irritating that it’s best avoided? Because if there’s one thing that “Four In A Bed” teaches us, it’s that when reviewing their bed and breakfast stays, people can be brutal. If you’ve never seen it before, “Four In A Bed” is a reality show in which bed and breakfast owners take it in turns staying at each others’ hotels. They spend a night and they stay for breakfast, and they rate their stay based on things like “cleanliness” and “quality of food”. Then they pay the owners whatever they think the stay was worth. The show invariably ends in screaming arguments. Because when assessing their stay, no stone is left unturned. The slightest bit of dirt is unforgivable. A tiny bit of grime in the bathroom is justification enough for them to knock five points off their stay, and £50 off their payment. And it’s not just “Four In A Bed” that tells us how demanding people can be when reviewing their experiences. 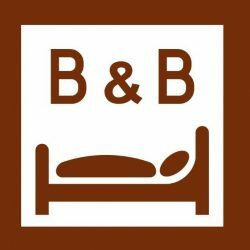 For more evidence at just how fussy people can be, just head to Tripadvisor and take a look at the negative reviews for any B&B, anywhere in the world. Your best course of action is obviously to maintain the highest standards of service and cleanliness. This will be good for you and good for your guests. And really, it’s an approach you should be taking anyway. It can be difficult to keep on top of these things – especially when you’ve multiple rooms to look after. Although we can’t help you to keep things in order in the bedroom, we can at least help you with the bathroom. And given that the bathroom is the place where your customers will really notice and care about dirt, our help can make a huge difference. The trick is to just choose the sort of fixtures that are considerably easier to clean, and that look and feel fresher for longer. Replace your current bath or shower enclosure with one of our self-contained shower cubicles and your bathroom will become significantly easier to clean overnight. The main difference is that shower cubicles don’t need tiles. You already know how difficult tiles are to clean, which is to say nothing of the grouting and sealant. Once water gets in there, which it will over time, you’re already well on your way to developing bathroom mould. And how are your guests going to react if they spot any black mould in your bathroom? But choose a self-contained shower cubicle, and there’s no tiles, no grouting, and no sealant. That means no mould. What’s more, our shower cubicles are made from a selection of high quality materials that not only look sleek and stylish, they’re also considerably easier to clean. For example, our cubicles are treated with Cristal Plus, a permanent anti-limescale coating that minimises the build-up of calcium deposits and dirt on glass, reducing the need to clean. This treatment encourages water to run off the glass without leaving streaks or water marks. So replace your current bath or shower with one of our shower cubicles and your bathroom will become cleaner overnight. And because it will continue to look fresh and sparkly for longer, you can expect to get full marks in the bathroom every time. But that’s not the only reason why shower cubicles are perfect for B&B bathrooms. Whether you’re style’s timeless, classic or contemporary, we’ve got a shower cubicle to match. They’re available in a range of shapes and sizes and can be made to fit into corners, alcoves, and any other awkwardly shaped spaces. We’ve got cubicles designed for smaller bathrooms, and all of our models are designed to gel perfectly with their surroundings. So even if you’re running a traditional thatch cottage in the Cotswolds, a Kinedo shower cubicle won’t look out of place. When you’re business model depends on filling hotel rooms, any time spent renovating your bathroom is going to eat into your profits. But our shower cubicles can be delivered, assembled, and operational in the space of a day, so there’s no need to worry about losing money when you’re rooms are out of action. Because there’s no need for tiling and grouting, there’s no need to strip away your existing tiles either. Your new shower cubicle can simply be installed over your current decoration. That means no mess, and an even faster installation time. You don’t even have to replace your electric shower. For example, the Moonlight model (pictured above) can be used with any type of shower – electric, power shower or mixer valve – with no need to amend the pipework. Our shower cubicles can be installed with a range of premium features, from overhead rain showers to advanced mobility aids. Some models even come with integrated storage that will hide your products from view, making your whole bathroom look and feel less cluttered and more luxurious. A shower cubicle isn’t just an advanced solution that’ll save you work in the long run. It’s also an instant upgrade – one that’s sure to delight your guests. Want your bed and breakfast bathroom to get top marks every time?